The market for 'real surround' headsets often relies on the premise that more is better, while the plausibility of that statement is entirely dependant on the subject, one thing is certainly true, 'more costs more'. If one was to judge the Kuven Pro in terms of features on paper, it would be easy to believe that it is offering good value. In reality, the features it provides simply aren't implemented well enough. Sure we get real 5.1 channel rendering but considering that it is housed inside the exact same frame as its stereo counterpart, means that the directional audio suffers, sounding rather flat especially when compared to the likes of the ROCCAT Kave XTD which provides an excellent surround experience. The Kuven headset itself does have some positive points, it is well made, looks attractive and is relatively comfortable. Specifically regarding the audio, there is good separation and it does provide an enjoyable experience in games (particularly good for footsteps in FPSs) and movies. The problem then arises when we consider the cost, this is because there are headsets that offer a similar level of performance or better at half the price. Though we are referring to stereo headsets, we can argue that due to the lack of any innovative design, the 5.1 channel advantage is marginal at best. The most notable downside to the Kuven Pro is the lack of stereo upmixing, which means when playing a stereo source, it will only use the individual 'front' drivers and not all the drivers available. 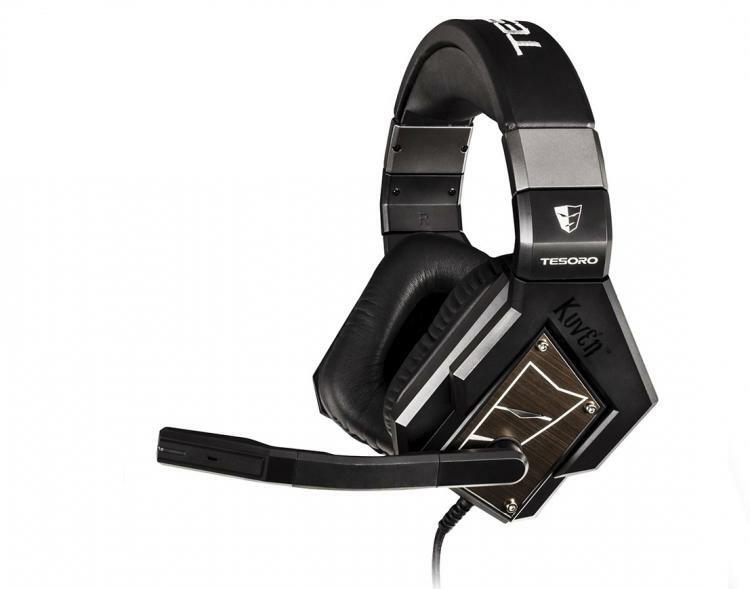 Though gaming headsets aren't renowned for wowing audio enthusiasts, the majority of gamers will still be looking for something that is suitable for all their audio needs, something that the Kuven Pro may not be able to deliver on. The bottom line is, if you enjoy listening to music between your gaming sessions or watch a lot of media with a stereo output, the Kuven Pro will not be for you. The Kuven Pro from Tesoro is a good attempt to get their name into the 'real 5.1' market, however it is immature in terms of design and innovation.